We’ve added 12 new languages in FreshBooks, so you’ll have more freedom to run your business your way. Did you know that FreshBooks is used by over 10 million people in 120 countries? So, it’s only natural that we’d want to continue to improve the user experience for people working in all languages. While you already know how to speak entrepreneur fluently, FreshBooks is learning new languages too – 12 to be exact. 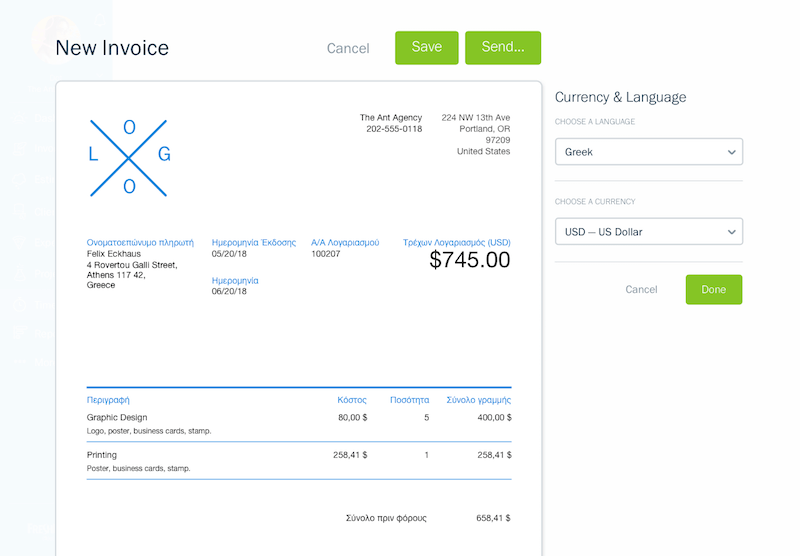 Plus, we’ve also added additional currency options to make invoicing breezy. And as your business grows, FreshBooks is there to serve. We’ll add more languages and currencies so there are no barriers when it comes to your billing. New Languages: What Are They? New FreshBooks has a spiffy foundation that means we’re able to build more, faster. For example, languages with special characters, like Greek, were not possible in FreshBooks Classic. But with our new platform, adding these updates is finally feasible. Pro-tip: Did you know that our award-winning Support Team offers customer service in three languages? They’ll be happy to give you (or your client) assistance in English, French or Spanish. Why Are Languages Important for My Business? Even if you only use one language today, your future needs might change. What if you hire a contractor in Brazil? Thinking about working with staff across the pond? As distances around the world continue to shrink with technology, FreshBooks is building options to bridge those gaps even further. With more languages to choose from, you’ll be able to reduce miscommunications and even get paid faster. Put yourself in your client’s shoes: getting an invoice in their preferred language means the information can be verified and paid quickly. 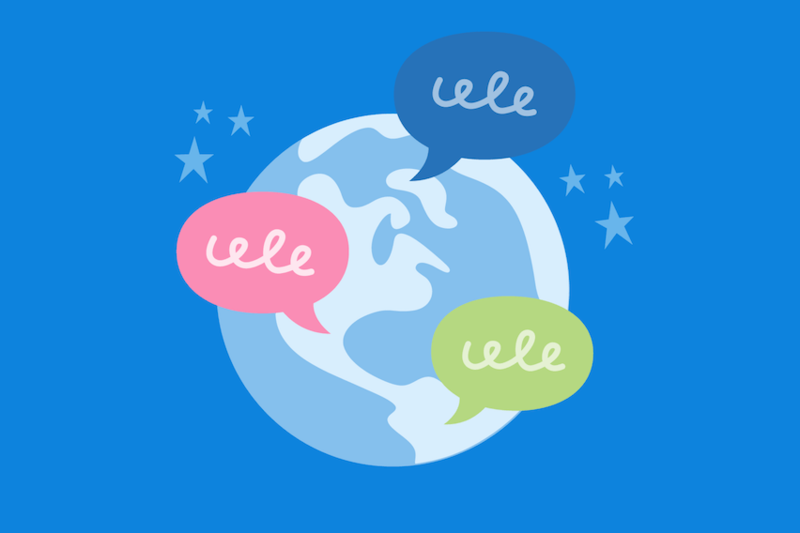 Changing languages and currency is easy in FreshBooks, here’s how to do it. 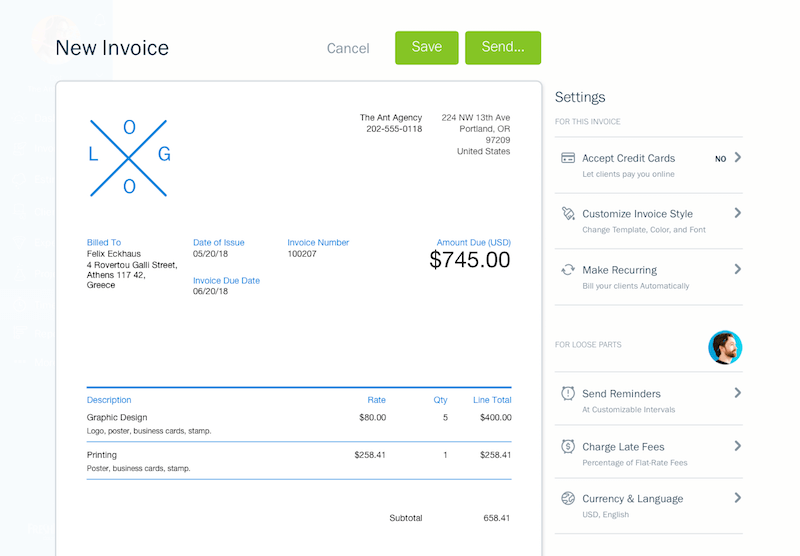 Step 1: Head to the Invoices tab from the left blue navigation. 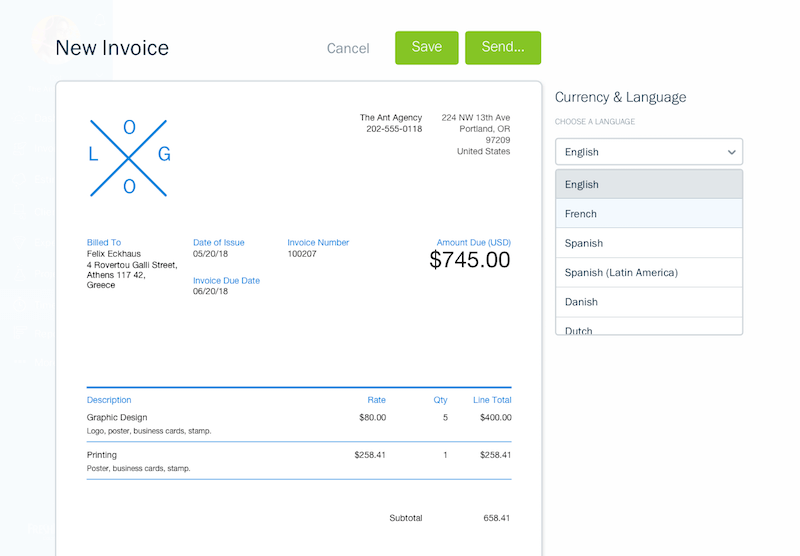 Create a new invoice, select a client and then click “Currency & Languages” on the bottom right. Step 2: Select your preferred language from the drop-down menu. Step 3: Once you’ve chosen the right language, you have an option of adjusting the currency. When that’s done, just hit send!